George Washington Black Onyx cufflinks from Regnas Jewelry. 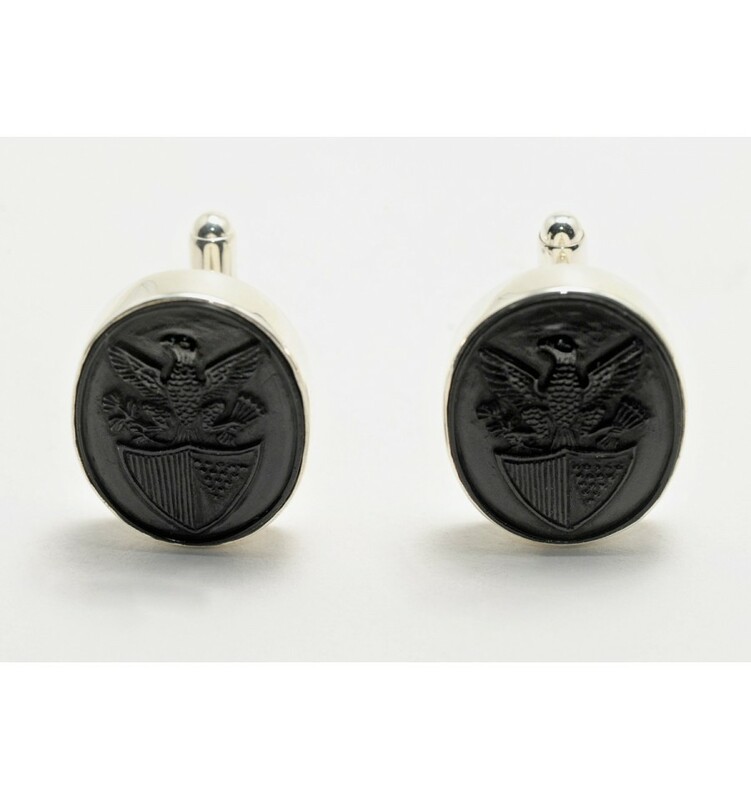 These superb and highly prestigious Cuff links have been designed and presented in association with our American Patriot associates. 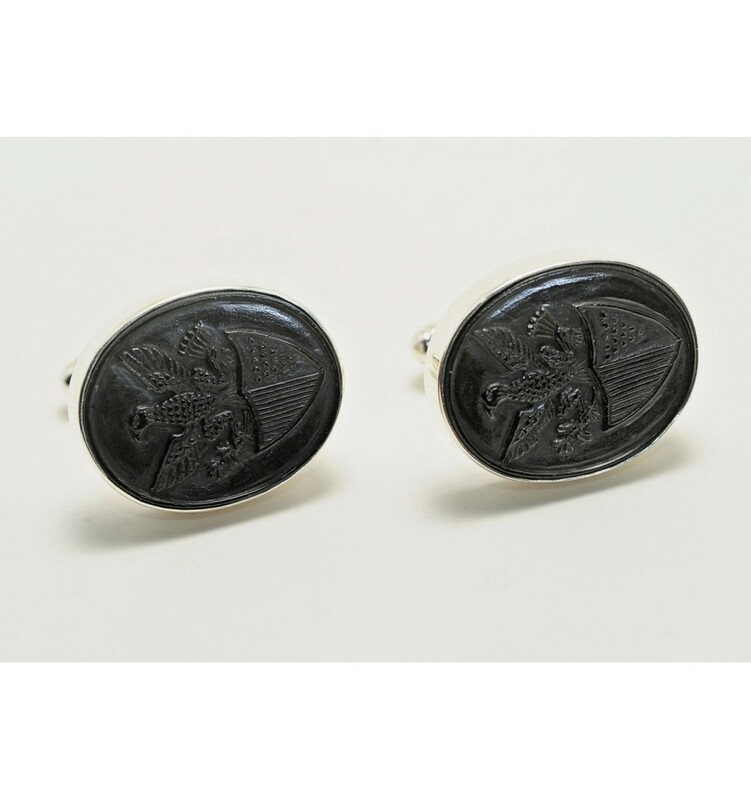 The cuff links consist of two well crafted ovals of black onyx cut from the same rock. Formal and very smart. 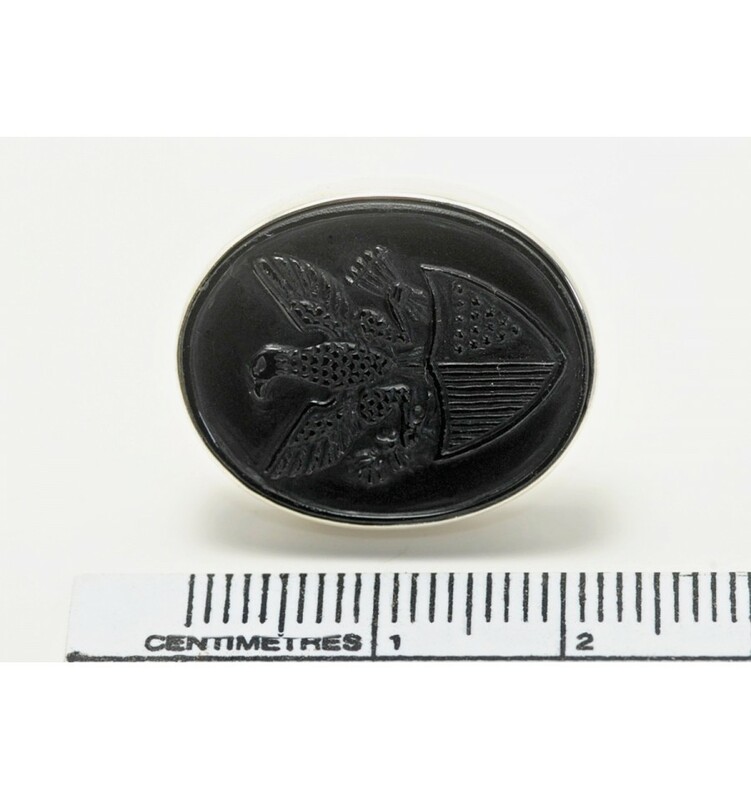 They are hand engraved by true craftsmen, are extremely distinguished and will add something very special to your wardrobe.